I know, it feels almost too early for Halloween, but the eerie chill you feel (right? 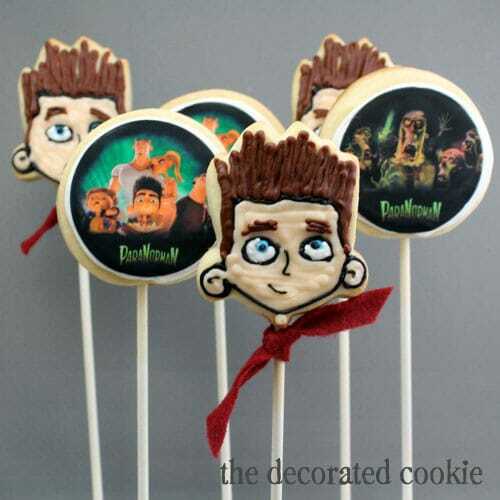 that’s what I was going for) is actually meant to celebrate the almost-release of the 3D stop-motion family film, ParaNorman, from Focus Features, opening August 17. Focus Features asked me to help spread the word via sweets, and how can I resist this awesome combination of kid fun, dessert and movies? 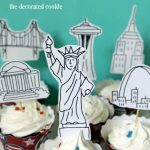 They created an uber-fantastic, supernatural decorating kit so you could create your own themed desserts. 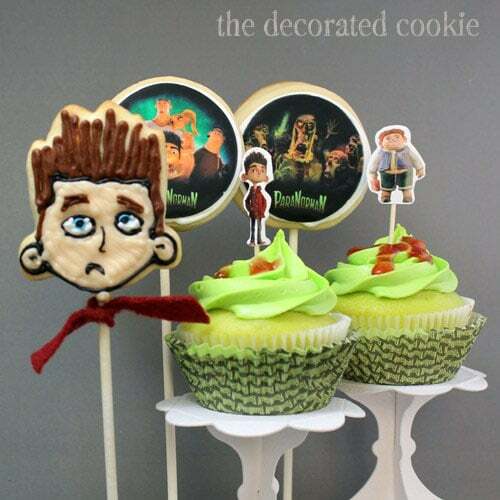 I made ParaNorman cookies and cupcakes. Quoted from Focus Features: “The film ParaNorman follows Norman, a misunderstood boy who can speak with the dead and his adventures as he takes on ghosts, zombies and grown-ups, in order to save his town from a centuries-old curse. The film is rated PG and from the makers of Coraline. It promotes the positive message of embracing the qualities that make each of us unique and not to shy away from our gifts, like the tagline says, ;You don’t become a hero by being normal.’ Leslie Mann, John Goodman, Christopher Mintz-Plasse, Anna Kendrick, Casey Affleck and Kodi Smit-McPhee lend their voices to the film.” Read more about the film HERE. 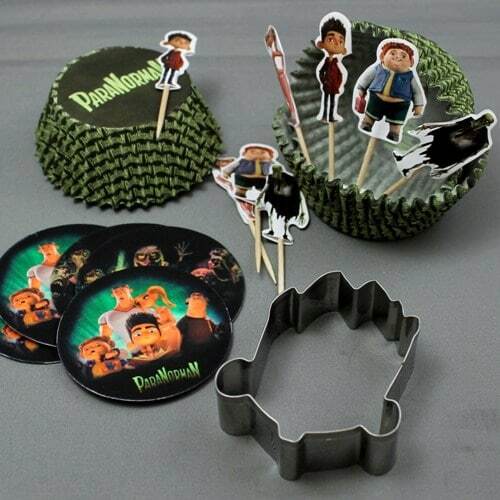 Each kit includes: ParaNorman cupcake liners with character cupcake picks, edible frosting toppers, and a custom-made ParaNorman cookie cutter. I made some cookies on a stick with the cookie cutters, and given the film’s subject matter, I feel entirely OK about the whole head-on-a-stick thing. By the way, that red felt tie is supposed to represent Norman’s sweatshirt. I also used the edible frosting toppers to make cookie pops. And I used the cupcake liners and picks to make some neon green cupcakes oozing blood. To make the cookie pops, I made my cookie dough, chilled, rolled out and cut out 2 1/2-inch circles for the frosting topper cookie pops and used my Norman cookie cutter to make Norman. For cookie pop how-tos, click here. I prepared my royal icing, divided and tinted using my Americolor Soft Gel Pastes (Bright White, Super Black, Peach, a mix of Sky and Royal Blue, and Chocolate Brown). To make Norman, I prepped decorating bags with couplers and size 1, 2, and 3 tips and piped my decoration. For the circle pops, I outlined each circle with white and flooded with white icing. (For basic cookie decorating how-tos, click here and to find supplies click here.) Then I let the flooded icing dry overnight. I brushed the surface of the cookie with light corn syrup, then gently placed a frosting topper on top and smoothed with my fingers. To make the cupcakes, I simply prepared white cake batter from a mix, and added some Electric Green Americolor Soft Gel Paste. I made some frosting, tinted it with the same Electric Green, and used a decorating bag with size 1M tip to pipe the frosting on the cupcakes. Then I put some strawberry preserves in a decorating bag, snipped the tip and piped “blood” on the cupcakes. Insert the picks, and that’s it. Winners must have a US address. Winners have 48 hours to respond after being notified before another name is drawn. These turned out so cute!! My son is excited for the movie (thank you television commercials!) but I actually am too. Thanks for the chance to win! This movie looks very cute! Thanks for the chance to make some fun cupcakes! 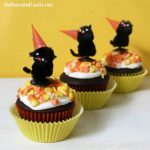 I love these cupcakes! The Green looks great with the oozing blood! Very creepy! These are so cute. My kids would love helping me make these. 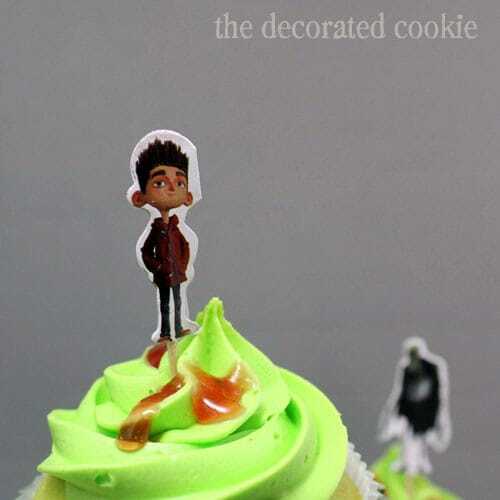 Whoooo…creapy ghost sounds coming your way 🙂 My son just finished reading this book in anticipation of the movie release, he can’t wait and it would be so much fun to make Paranorman treats with him to celebrate the opening. Cool way to make it a full circle experience! Thanks for the chance to win! Super cute! My husband knew all about this movie. It would be fun to make these then see the movie with my son and a couple of his friends the have an “after-party”. I can’t wait for this movie to come out! Aborably ooky. Zombies are coming to a screen near you. Can’t wait to see this! Loved the cookies. I’m 39 and excited for the movie. These kits are adorable. Creepy post. What a cute giveaway! This kit looks like fun and I can’t wait for the movie to come out! This movie is all my granddaughter talks about. She is already doing her “creepy” walk. Cute, yet creepy cupcakes(my favorite) and cookie pops! Looks like a neat movie for the coming(sooner than we realize)Halloween holiday. These are so cute! My neices are huge tomboys and they would love getting into making these with me. Thanks for the chance to win. 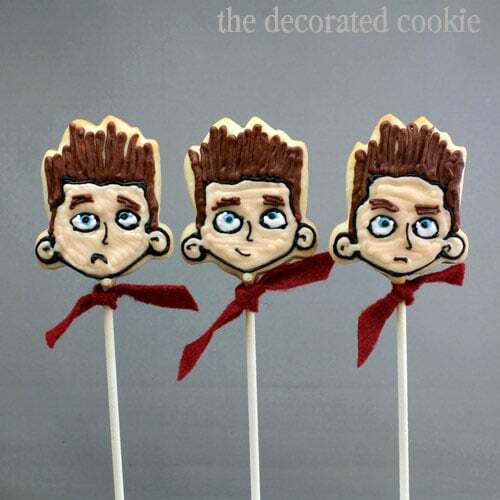 I love a cookie on a stick…but heads on a stick are even better! I love the cookie pops!! My son knew exactly what movie this was before I even scrolled down! I love the booger green color of the the cupcake ans frosting! I just love customer cupcake liners. They add so much to the presentation. Thanks for the givaway! I love movies like this! My husband and I get really excited every time we see the trailer. 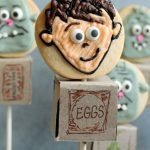 I love how you made cookies pops with the cupcake toppers, spooktacular idea. I cant wait for this movie to come out and I NEEEEEEED that cookie cutter. I’d love to win, and can’t wait till Halloween and cool weather. These are so cute and look yummy! 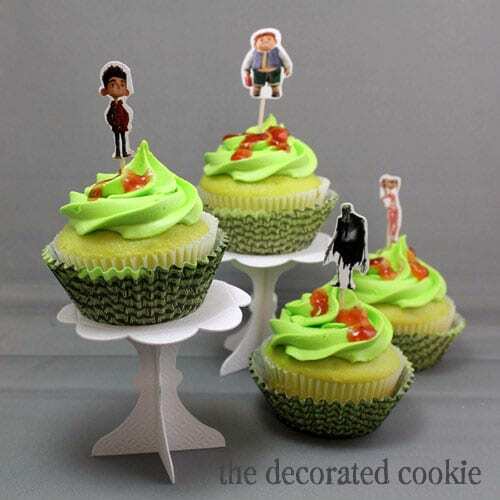 The cupcake picks are fantastic but that cookie cutter is out of this world! My kids can’t wait for the movie. Until you mentioned it, I thought perhaps the red felt was a hint at a severed head on a stick. Thanx for clearing it up for me!! So cute! Looking forward to the movie! These cookies spooky, love them! Would love to win your giveaway! Another cookie cutter to add to my collection? Of course. :) I love the cute cookie pops and cupcakes. I would totally love to win this…I would have so much fun make things with this set. Thank you for the chance to win. My 6 year old is ALL over this movie before it’s even out. He has also been talking about Halloween for the past few weeks and would LOVE this. This movie looks like it will be a lot of fun to see. Thanks for the chance to win. How cute these are! I can’t wait to see the movie. It looks hilarious! Nice way to make it complete. My daughter has been talking about this movie for months! Can’t wait to see it. BOO! My daughter (who is 6) decorates cookies right along side me.. and I know this would be a fun project to do after seeing the movie. Love your cookie pops and your site..your RI (sort of) is my go to icing (love love love it! )…Thank you so much! My grand kids can’t wait to see it ! I can’t wait for the movie to come out, kids can’t wait either. wink wink… LOL… Love the cupcake liners, cookie cutters and toppers. The cookies were so cute. I have a question – when you’re colouring buttercream (which I think this is? ), how do you get more delicate colours? I struggle to get pale colours because the cream is already yellow from the butter. I tried to make some purple the other day using gels, but the yellow base-colour made it very difficult and I ended up with a muddy dark pink (which actually looked okay once it was piped). I’m certain I want to see this movie more than my 3 1/2 year old, but she would absolutely enjoy all the treats this kit would make. Awesome job, thanks for the giveaway! So excited about ParaNorman!!! The cupcakes are precious!!! I love anything Tim Burton! Cant wait to see this movie and love the blood on cupcakes. 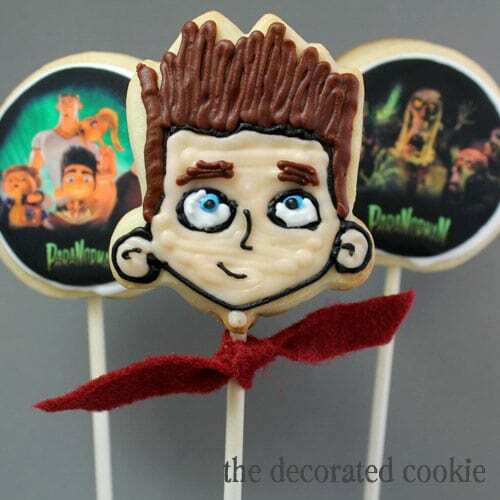 The ParaNorman cookie pops are awesome! Great treats for a really neat looking movie. My kids would love this! Halloween is our favorite time of year. I can’t wait to see this movie! Thanks for an awesome giveaway. I love watching movies…sitting in an Air Condition room for two hours eating popcorn. My daughter and I just saw the commercial for this movie release! We can’t wait to go see it! Thank you for the giveaway! This is about the “scariest” movie I’ll see–fraidy cat! Love these! I actually run a movie theater, and would love to make these for my staff for the movie! These are so cute! What a cute idea to combine the movie with the treats. Dont you hate when you watch scary movies & you scare yourself at night hearing things you didnt notice before?? lol, thanks for a great giveaway! 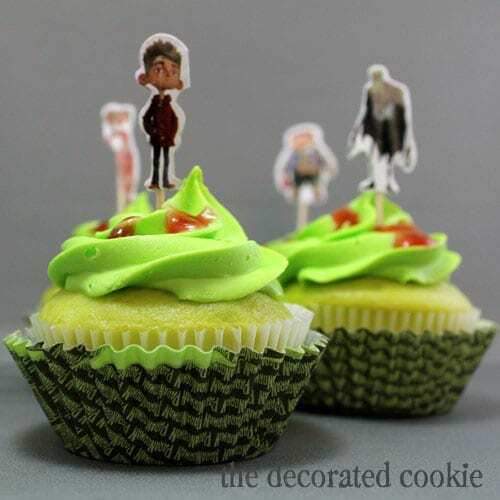 These would be perfect for my Halloween Party – Halloween Village, “Thriller” performances, and “ParaNorman” treats! Thanks for the chance to win! 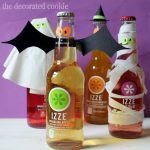 Love the “fake blood” I will have to make these with my nephew. Thanks for the idea! woo hoo, I won a set. When, I looked at the Norman cookie cutter, I was trying to come up with something else to use it for. I keep seeing a frankenstein head with the bolts sticking out of his neck. Thanks again. cant wait untill it comes out on dvd so i can buy it. hope theres a game coming out for it. whats scairyer then seeing dead people is seeing the living sooo. hold me im freak’n out.